Referring to the evidence of the local complainants – all of whom complained about constant sleep disruption and sleep deprivation caused by wind turbine noise – the QC, relying on a long line of common-law authorities, reasoned that “The loss of even one night’s sleep may amount to such a substantial interference with personal comfort as to constitute a nuisance”. The long-suffering folk at Bald Hills have lost a whole lot more than a single night’s sleep. For more, see our posts here and here. 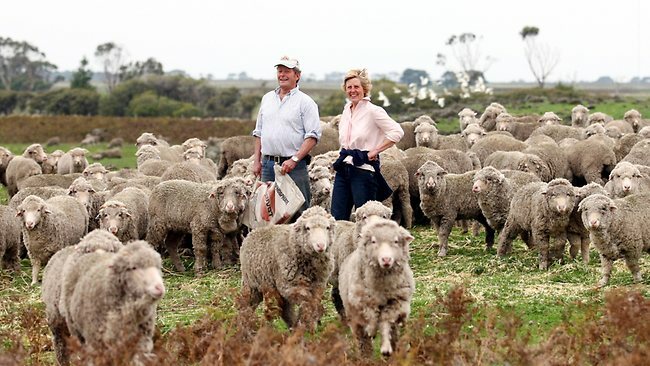 Needless to say, the victory at Bald Hills has farmers rejoicing and wind developers fuming. A few days after the announcement, Dominica was interviewed by 2GB’s Alan Jones. Dominica – who operates from Melbourne as DST Legal – is now leading a group of farmers pursuing their tormentors for $millions of dollars in damages for the loss of the use and enjoyment of their homes. Her clients include Gus and Annie Gardner, whose picturesque Western Districts property is surrounded by AGL’s monstrosities at Macarthur. STT hears that the Gardners have issued proceedings in the Supreme Court seeking $millions in damages for the loss of the use and enjoyment of their beautiful home and for the massive reduction in the value of their property. Here’s more on the story. Alan Jones is concerned Labor’s climate change policy would mean the construction of more wind farms, negatively impacting on rural landowners. A Labor government would aim to cut emissions by 45 per cent by the year 2030. Alan Jones says this proposal would require the construction of far more wind farms. in the Australian countryside. He says landowners who choose to allow wind turbines to be built on their property are often unaware of the noise they produce and the impact they can have on the value of their land. “This is a major crisis in the lives of many people”. Fortunately, there’s been a small victory for residents who live next to the Bald Hills Wind Farm in Victoria. Lawyer Dominica Tannock says her clients are the first people in the state to obtain a decision finding their health has been impacted by the wind turbine noise. “The evidence is that it is adversely affecting my clients, their health, their lifestyle. Alan Jones: Let’s look at some aspects of this again. If you’re going to talk 50% renewables, you’re going to have to build wind farms everywhere. I’ll give you one example and this is frightening. It’s not so frightening if you don’t live near one of these things. As I’ve often said, if wind farms aren’t injurious to health, put them in Collins Street, Melbourne, Macquarie Street, Sydney. Put them on Bondi Beach, plenty of wind there. You take this Willatook Wind Farm, virtually next door to the Macarthur Wind Farm. They’re in Victoria. We’re talking as they suggest of a project with 83 wind turbines, 220 metres high. These things are taller than a 60-storey tower block. You still with me? The diameter of the turbine rotors, 158 metres. What is called the rotor swept area, that’s as they turn around, that area would exceed the plane surface of the MCG. This wind farm, Willatook, covers 6,750 hectares, 26, nearly 30 acres between Hawkesdale and Orford in South West Victoria, 300 kilometres west of Melbourne. And it would be located only 3-1/2 kilometres from the southernmost turbines of the Macarthur Wind Farm, the biggest in the southern hemisphere, 140 turbines, 150 metres high, 56 metre blades. And these are less than 2 kilometres from the homes of ordinary Australians. Just imagine if it was you. Some local residents are sandwiched between the Macarthur Wind Farm and the proposed Willatook Wind Farms. At least one property would be surrounded by Willatook turbines. Twenty three local landowners are thought to have signed agreements to host wind turbines on their properties and the Willatook Wind Farm project would be built and run by an outfit called Wind Prospect. My information is that AGL the mob that want to shut down Liddell in order to benefit from renewable energy subsidies. AGL have expressed an interest in acquiring any permit granted for the Willatook proposal and this is currently progressing through the Victorian State Government, but of course, they want all this wind farm renewable energy stuff. And there is a wind farm neighbour agreement, which I talked about yesterday. Now as I said yesterday, these landholders who agreed to have these turbines on their property, I mean they don’t do their homework and I’m not blaming them. They actually trust what they’re told. They don’t know what the consequences would be and drought and all the rest of it and they get money for putting these wind turbines on their farms, but the landholder in return for payment has to agree that all the anticipated noise and visual impact has been explained to them and that the landholders made his own inquiries and the landholder accepts all this stuff, even though he’s only got the word of the wind farm corporation. Anything can happen down the track and the landholder signs up not to complain. 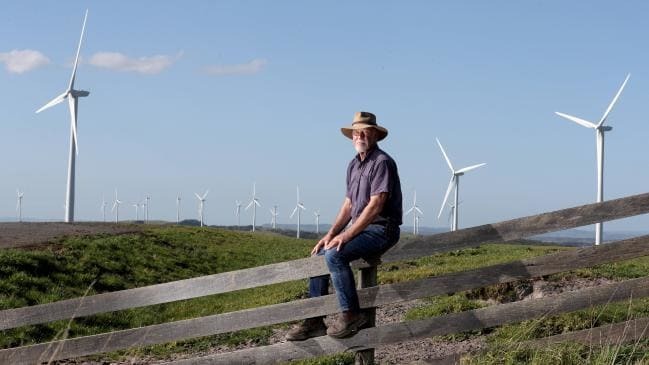 Whatever the actual impact is, usually far greater than anything he’s been told, you’re not allowed to bring any case or encourage anyone else to bring a case against the wind farm, but the owner of these wind farms is 99 times out of 100 a foreigner. The landholder signs up, waives away his rights. If your property becomes unlivable because of the wind turbines, you’ve got no right to ask the company to acquire it or to ask the company to reduce the noise or to do any landscaping that would reduce the visual impact, and the landholder releases the wind company from any claims. Why would you sign up? I suppose they want the money and they believe what they’ve been told. In drought times, it’s tough and you cop the gag order. The landholder can’t do anything. It’s unbelievable. This even shouldn’t be allowed. I’m sure it’s not allowed at law. People don’t believe this can happen. I’ve got correspondence here from one person who lives near this proposed Willatook Wind Farm and has been fighting it for eight years. He and his wife moved to the district, a pretty place in retirement. They’ve got a small lifestyle block of land and now they find themselves near this monster proposal. Since AGL reared their ugly face in 2017 announcing they’d like to be involved, other families have come on board fighting this Willatook monster, 83 turbines, 220 metres high, taller than a 60-storey tower block each of them on 6,750 hectares. The diameter of the turbine rotor, 158 metres. And many of the people fighting this have already been badly impacted by the biggest one in the southern hemisphere, the Macarthur Wind Farm. If this Willatook proposal goes ahead, they just can’t live on their properties. I’m advised there’s a property there for sale. It’s signed up for turbines for Willatook, 30,000 a year per turbine, 6 turbines, that’s 180,000 bucks annually. Nobody wants to buy the farm, even with this income, the turbines are a liability. I spoke to Paul Lewis yesterday. He’s badly affected by the noise. He’s got 140 Macarthur Wind Farm turbines to the north and he’ll have 83 of these Willatook turbines to the west and south of his property. Just unbelievable. Well there is one lady has stuck her head up, Dominica Tannock is a legal practitioner. She’s been representing some of these people and she’s been kind enough to talk to us. Dominica, good morning. Dominica Tannock: Good morning, Alan. Alan Jones: You’ve got a bit of a test case here, this Bald Hills Wind Farm. You’ve had a bit of a win on that front, haven’t you? Dominica Tannock: We have indeed. Last week, the residents or the adjoining landowners of the Bald Hills Wind Farm were the first people in Victoria to obtain a decision that recognises that the noise emissions from the Bald Hills Wind Farm constitute a noise nuisance under the Public Health and Wellbeing Act. Alan Jones: That would be true of every wind farm quite frankly. This is the South Gippsland Shire, the mayor made the point that the council had digested an enormous amount of materials, specialist reports, legal advice over a long period of time, and the council had been made aware of its responsibilities, etc., etc., and it said it has found that there is a significant level of noise discomfort for these people. You’ve been through all of this and I’ve had a lot of people tell me about you and singing your praises because you’ve got into the ring to fight for them. It’s not believable is it that common sense wouldn’t prevail. This is as obvious as the nose on your face, the damage this is doing to people. Dominica Tannock: The council found that the complaints are very sincere and the evidence is very credible and the investigator, the independent investigator heard the noise himself and they made their findings based on the evidence and the evidence is that it is adversely affecting my clients, their health, their lifestyle, and it’s unreasonable. Alan Jones: Absolutely, but why should innocent farmers have to go to such phenomenal expense to protect their own health and the value of their property? Why shouldn’t there be compensation to a farmer for the destruction of the value of their asset because of these wind farms being built? Dominica Tannock: I think there should be compensation, and I think there should also be better regulation. I think in its rush to renewables, the government is allowing the corporates who are there to make profit after all to self-regulate, and this is improper. Alan Jones: Yeah. There’s talk there even more of these wind farms, Willatook, Bald Hills, Macarthur, where does this end? I just don’t understand. There’s something wrong on a national level when we become so addicted to this renewable energy ideology that innocent Australians can have their health put at risk and in many instances, their only asset totally diminished in value because of this ideological commitment. They won’t put them in Collins Street or Macquarie Street in Sydney or on Bondi Beach, will they? Dominica Tannock: No, that’s right. I think they’ve put it out in farmland where it’s very difficult for people who are farmers to take on the powers that be and that’s very unfair. Alan Jones: Where do you think this is going? Are you optimistic that someone will one day wake up or has this got to be just a fight right to the death? Dominica Tannock: I think things are beginning to change. I’m acting for a lot of people now who are beginning to take on AGL Energy, some landowners at Macarthur who’ve been there for a long time are suing AGL Energy. There’s some people in New South Wales in Yass who are suing the Independent Planning Commission on acting for them and they’re off suing also an operator. I’ve got some people who are suing the Minister for Planning in Victoria in relation to a decision that he made to build the biggest wind farm in the southern hemisphere. Dominica Tannock: Two hundred and twenty eight turbines so I think people are beginning to fight back. Alan Jones: Good on you, good on you. Am I able to tell people to get in touch with you? Alan Jones: Certainly. Now I hate asking this of a professional person, but shall I go off air and get some numbers? I won’t embarrass you here, but look, I’ll go off air and get some numbers where I can tell people because this is a major crisis in the lives of many people, an asset that they have, they’ve worked their life for has been diminished in value and they’re worried about their own health. So Dominica, we’ll keep in touch. I’ll get some numbers and I’ll let people know where they can ring you. Alan Jones: Very grateful, there’s someone, a lady getting into the ring at long last. Thank God for her. Annie and Gus Gardner: in line for $millions from AGL. Its wonderful to hear that at least there are Lawyers willing to work for the people who are suffering and not simply turning a blind eye at the injustice being dealt out to those living in our rural and regional areas. What a shame though that has come to this, the industry, the Local Authorities, the Governments and those ‘professionals’ who work for the companies have known for many years the dangers posed by these turbines and yet nothing has been done. That the companies can ‘dictate’ the terms of approval and can ignore the evidence they have had at their disposal for years of the dangers posed is staggering. What other industry in this Nation would be allowed to get away with what they have been getting away, have been encouraged and paid to get away with. What fools are those powers in Australia that could have stopped this nightmare but have decided to stand back and let their own citizens suffer. They sat there in the dark and unwilling to look for a light switch, they prefer / preferred to listen to false claims in a desire to be seen to be doing the bidding of a group of foreign decision makers far far away from Australia who said we were destroying the worlds future so needed to sign away the very livelihood and health of Australians to ensure other countries could continue to do what we were not going to be allowed to do. We were told to fall over ourselves and create electricity from something referred to as ‘Renewables’ even though the methods promoted by people with financial and ideological interests were going to damage human health and the very environment they were meant to be saving, as well as do nothing to stop or reduce the emissions they say need to be reduce. There is nothing ‘Renewable’ about Wind Turbines, the wind blows through where they are erected and their blades turn then the machinery creates energy. What is renewable! Wind is always there – somewhere – but not always where these turbines are built so they build more and more and more and more, but still they are operating with something that is NOT renewable, its just there – at times. The machinery they use is created from non-renewable mined resources and put together by machinery that is built from none-renewable mined resources – so what is ‘Renewable’ about this form of energy production? Its unbelievable the Prime Minister of this Country actually signed off our rights to make our own decisions purely on their personal ideological belief, leaving people from other countries to decide what is good for Australia and Australians – yet he did. We the people were not asked except in crackpot surveys that asked ‘loaded’, irrelevant, word twisted questions designed to produce the answer the surveyor wanted. To listen to Politicians today from all Parties you have to wonder if they ever look beyond their navel and if they do if they listen to what people are out there in the real world are saying to them, if they ever think there’s more than one thought on the subject and there’s plenty of people out there with a more balanced and educated view of what dangers these turbines pose. It seems Politics today is about who has the most money to ensure they get what they want from Politicians and the rest of us can go lie down and be buried under tons and tons of these things. Good on you, Dominica Tannock!